Advertising via Google and social media sites such as Facebook and Twitter is on the rise, and online marketing firm Brandlective Communications has also noticed a rise in the demand for Pay Per Click (PPC) advertising. Pay Per Click or PPC advertising is an internet advertising model used to direct traffic to websites, in which advertisers pay the publisher when the ad is clicked. 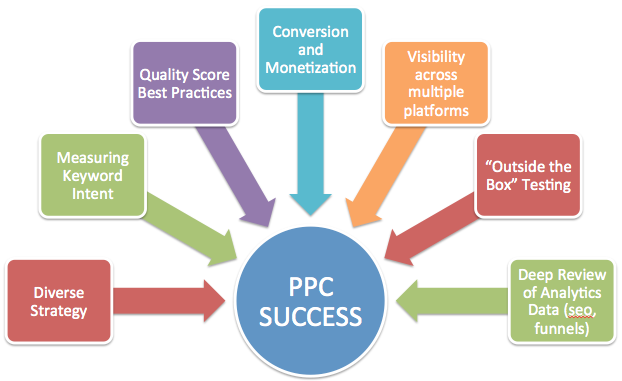 PPC advertising is the fastest way to get a company listed on the first page of all the major search engines. PPC advertising targets customers that are searching specifically for what the company offers and only pays when the ad receives a click. Brandlective Communications says the positive of PPC advertising is the fact it can be instantaneous and as soon as an account is set up, the ads begin to appear, meaning the company can be on the first page of a search engine bringing in ready-to-buy customers with relative ease. However, the negative is that if used incorrectly, PPC ads can be a big cost to firms without bringing them a good return on their investment. But despite the negative, Brandlective Communications say that they have received a high demand for PPC advertising. Brandlective Communications offers a range of services including PPC advertising, online marketing and social media for their clients. The company runs PPC campaigns efficiently and ensures that their clients are getting the best return on their investment from the ads. Brandlective Communications also manages their clients’ social media pages to ensure that they have engaging content and ultimate exposure to potential customers. As well as this, Brandlective Communications monitor a brand’s online presence and reputation and ensures each firm ranks highly in search engines through their extensive SEO strategy. 8.Manage a client’s money as if it were their own. “We are constantly developing our services to suit client demands and PPC has been on the rise for some time. We aim to keep our best practice methodologies in line with Google’s developments; our proactive Paid Search consultants are always keen to identify new tools and techniques to give our clients’ campaigns the competitive edge that is needed in today’s online marketing methods,” says Stacey Kehoe, Director of Communications at Brandlective Communications.